Manufacturing of pharmaceuticals takes place all over the world and the health of patients globally is at stake. Ben Hargreaves examines how industry harmonisation is bringing regulation into closer alignment to ensure everyone is on the same page. The speed and reach of social media is an entirely new phenomenon but, in many ways, pharma has always been a globalised industry. The research that many blockbusters are built on the back of is, and has always been, generated through the cross-fertilisation of ideas across borders. The medicine produced by the industry has always been sold across the globe and, due to this, companies have always tried to have a presence in local markets. However, the industry is now experiencing an even greater shift to adapt to the demands of the global marketplace. One of the major moves in the industry this year has been Takeda’s decision to acquire Shire, with a big part of the reason behind the acquisition being the presence that the latter company has in the US and the EU. Takeda had been traditionally focused on the Japanese market at the expense of the rest of the world; however, this business model no longer works in a global market, particularly when the Japanese market is struggling. Takeda’s CEO, Christophe Weber, had been given the remit upon entering the job to make the company into a global player and, after its $62 billion move, Weber will have fulfilled this ambition, alongside turning it into top 10 pharma company. Manufacturing across all industries has gone global and pharma is no different. A huge number of generics that are delivered around the world are manufactured in India, for example, while the larger pharmaceutical companies will have manufacturing facilities dotted around the globe, ready to produce the APIs or drugs for the local market. However, with drugs being imported and exported from a number of countries, the complication arises over ensuring the quality of products remains homogenous, despite being produced in different countries, with different regulations and expectations of what makes a quality product. In other industries, the quality of the product is important, but for the pharmaceutical industry it is key – a T-shirt that has been produced in a way that does not ensure a good quality product will, at most, potentially deter a consumer from buying from a particular shop or brand again, while for pharmaceutical goods, the side effect of a poorly produced drug can be catastrophic. The dangers of varying manufacturing practices across different countries are obvious, which is why many countries have a strict set of standards that those wishing to export products to are required to follow. The standards have been continually updated over the past 30 years, which is why the US’s guidelines are called current Good Manufacturing Practices (cGMP). The US standards are the gold standard, but each region or country has their own, while the WHO also has its own GMP guidelines that over 100 countries have adopted into law. In addition, the EU, despite being made up of constituent nations, has GMP regulations that cover the Union. 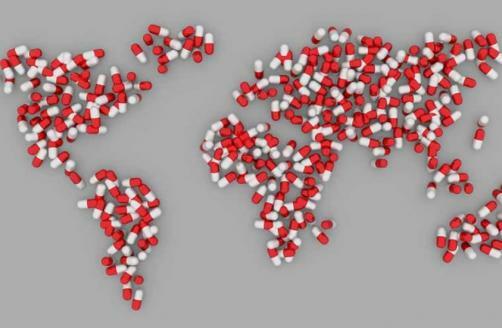 It is up to countries or regions involved to make sure that a particular company’s facility is actually following its own cGMP in the production of medicine to be imported. The most active of these is the FDA, which takes a lead to inspect facilities around the world and then publicly announces its findings through its website. This often leads to publicly issued warning letters to manufacturing facilities detailing exactly what was deemed to be going wrong at the facility and how to rectify the issues. This puts the US in an unfortunate position whereby it has to put in a lot of legwork, and expense, to highlight issues that are of interest to all countries that could potentially import medicines from the company concerned. The logical step is to pool resources to ensure that inspections can be recognised globally and assessed by a global team. This is effectively what is beginning to occur across the industry, as discussion of regulatory and cGMP gathers momentum. It seems like an inevitable march towards greater global harmonisation. However, one spanner that has been thrown in the works, in this regard, is Brexit. Being part of the EU allows the UK to align itself with the Union on manufacturing issues, as well as other regulatory areas – not having this alignment will mean that a number of questions will arise as to what the country’s path will be post-Brexit. Fleming was cautious about what this might mean for the UK environment: “The long-term trend is towards more harmonisation but this is at risk from Brexit, where depending on the scenario, there is a possibility that although the UK and the EU will start with full regulatory alignment, it could diverge over time. Fleming was also keen to stress that the process of harmonisation would not happen overnight: “Harmonisation programmes are never quick, with progress usually measured in steps that take several years. Identifying the most suitable topics where there is strong interest from both industry and major global regulators is usually the best way to move forward more rapidly, as has been seen in the past, for example with stability testing requirements. A major push forward in the direction of global harmonisation of drug development and manufacture occurred in the summer of 2017, as China formally joined the International Council for Harmonisation (ICH). The body has been operating since 1990 and involves regulators from the US, Europe and Japan. Its mission is to standardise drug development and manufacture globally, with the aim of improving patient safety and access to high quality pharmaceutical products. Bringing China into the global push towards harmonisation is clearly a huge success for the ICH, with such a large partner strengthening the call for greater standardisation of practice. However, alongside a global effort, there are regional efforts that aim to speed the process on a smaller scale. The EU, as the most well-known regional bloc of countries, is at the forefront of such efforts. One significant effort for all countries in the EU is the Falsified Medicines Directive (FMD), which will change the way manufacturers have to produce medicine. This means it will involve manufacturers having to attach serial codes to each product and then upload the UI code to the European Medicine’s Verifications System, which will then be checked once the medicine reaches the pharmacist to ensure the product is genuine. It will also involve security measures to ensure that products are genuine, such as anti-tampering devices. Of course, with Brexit there are questions over whether the UK will still be part of the large-scale process. However, in its information on the FMD, the ABPI remained adamant that Brexit is unlikely to disrupt its cooperation with the incoming directive: “It has to be remembered that the UK is still a major player in the global medicines supply chain and retains a significant pharmaceutical manufacturing sector. Globally, both manufacturers and regulators are adopting pack serialisation as a way of combatting counterfeiting and falsification and may be reluctant to sustain additional costs for producing different packs for the UK in the long run. “At present, the Department of Health and the Medicines and Healthcare products Regulatory Agency, the ‘national competent authorities’ for the UK, have stated that they are continuing with work to implement FMD in the UK and this is ‘business as usual’ for them. Beyond the FMD, there are also discussions on-going to bring a harmonised approach to health technology assessment, meaning that the Union would appraise medicines as a whole. Early this year, the European Commission put forward a plan for how to place this within EU law by 2020. The appeal would be that the EU would have greater negotiating power to bring down prices and also to speed up the process of medicines reaching patients, though this would remove, or limit, national authorities’ power to negotiate exclusively with companies. If the law becomes a reality, it would represent a significant shift for both harmonisation and for the pharma industry. Why is a world where manufacturing expectations are uniform desirable? The simple answer is that a uniform approach to manufacturing means that everyone is operating at the same standard and as the current standard bearer for the production of quality is the US, it would effectively raise the bar to the highest standards. In theory, this is actually enacted in the system as it stands; the US FDA carries out much of the work inspecting facilities around the globe to ensure that medicines arriving on its shores are produced to the exacting standards it expects. This means that FDA inspections are of high importance and can effectively sink a company if facilities are not to the required level. Not being able to export medicine to the US, the largest pharmaceutical market, is enough to nearly capsize some companies or at least create a heavy dent in sales. One country that has a number of companies that have felt the sting of being slapped by an FDA warning letter is India. The country accounts for between 20% to 22% of the world’s generic drugs, and 40% of all generics approvals in the US came from an Indian company in 2017. The benefit for the US is that the higher number of generics flooding its market means that prices are generally driven downwards. However, it also means that the FDA is hard-pressed to inspect facilities in the country and, on top of that, is known to deliver a number of less-than-complimentary reports on the factories it comes into contact with. One India-based company that has suffered greatly due to this is Sun Pharma. Two years ago, the FDA hit the company with a warning letter over failures at its Halol, Gujarat plant, to follow cGMP guidelines. In June, the facility was finally given the OK that the concerns raised in its 2015 report had been rectified, meaning that the agency is happy to once again approve new products to be manufactured at the facility. One facility doesn’t seem like it would account for a lot in a company that had annual revenue of $3.9 billion in 2017. However, this one facility produced products representing 22% of all US sales and 12% of all global sales before it was hit with the warning letter. So, if the FDA is able to adequately police facilities globally, why is harmonisation preferred? The simple answer is that it saves a huge amount of time, money and effort on its part if countries were able to follow cGMP’s without inspection. It also follows logically that it’s in the interests of the industry and the countries involved to ensure standards are up to scratch – the time lost whilst production is stopped or limited impacts the company’s financials and, by proxy, the country it is based in through lost tax revenue. With so many reasons pointing towards the benefits of greater cooperation when assessing the future of manufacturing compliance, it seems inevitable that there will be a pivot towards greater synchronicity of standards across borders. There are a number of trends that point in a similar direction, even in unrelated areas of the pharma industry; for example, the establishment of the BeNeLuxa bloc to negotiate drug prices suggests greater cross-border collaboration is the future of the industry. However, as mentioned previously by Fleming, it’s not likely to happen overnight. Instead of making wholesale changes, it has been clear from announcements made by the FDA, EMA and PMDA that there will be incremental steps made. For instance, at the beginning of this month, the EMA revealed that two more EU member states would be included in the mutual recognition deal between the EU and the US, bringing the grand total to 14 member states. This cautious approach is sensible, given the high-stakes involved, but it will pay for companies and countries to be aware that this movement is gathering pace all the time.